There's a fine line between making it big, and doing something off the wall. That's a reality that business models have taught us throughout the years – that there is no such thing as a "sure thing," there is only a such thing as hard work and market research. Because it's much easier to create a successful business with a model that works – vs. putting in extra hours to fix what could have been done better from day one. Which is exactly what these franchises did. They took a model that worked, and they turned their branch into a booming location. Only they put their own spin on it along the way. Instead of choosing a product or service that everyone knew, these franchise owners went in a new direction. And their efforts are paying off, and then some. Take a look at these concepts that broke the mold, and consider why one of them (or an entirely new concept) could be your next business venture. This theory is nothing new, right? Food is grown, harvested, and then cooked. It's how our ancestors ate for hundreds of years. Until packaging and pre-paid items became quick and convenient, this was just called "food." But now it's making a comeback. Franchises and utilizing local produce and livestock, seeking out local talent (like cheese makers beekeepers, etc.) to get flavorful items fresh, close to home, and that are prepped by talented hands. Put it all together, add some rustic décor, and you've got the farm-to-table market to a T.
In one of the most interesting concepts yet, companies are offering up expertise and a side of lunch. Or a craft lesson with some wine. Maybe even a photography session with a makeover thrown in. Whatever the industry of choice (the bread and butter behind the concept), companies are topping it with an added incentive to get folks in the door. The secondary add-on isn't as big of a focus for the brand, but is generally something that's desirable, and acts as a way to bring in new faces. You don't have to offer it, you just have to teach others – that's the motto of many new franchises. Companies are popping up across the country to serve as training programs in any number of industries. Here, the brand serves as a school and stepping stool, then places their gradates into the real world. Can your business work on the go? Can you offer massages? Meals? Eyelash extensions? Or anything else from a small, yet mobile location? If so, you can join the success of many others through a mobile business. Perhaps the best thing about these concepts is that they don't require rent or utilities – so long as the vehicle is paid for, along with your supplies, it can be an easy way to cut down on business expenses. No matter what type of industry you're in, there's a way to make yourself more ecofriendly. It's a route all types of companies are taking not only to help when marketing, but to gain tax credits for their efforts. Recycle, reuse, buy used, and more. It's a dual-positive approach that has been used by various industries, adding to incredible amounts of success. A restaurant location might sell potatoes, and that's it. Those potatoes can be ordered in tens of different ways, but don't ask about steaks or salads, because potatoes are all that's on the menu. The same can be said for a service industry. For instance a company that only changes your oil, maybe a stylist who colors hair, but doesn't cut it. By specializing, folks are able to establish themselves as a go-to expert … plus they offer the novelty of being unique. Everyone offers more, they offer more choices of a single thing. Being mobile isn't the only way to get rid of office expenses. You can also go virtual. When providing services online (web design, dietary consultations, home loans, etc. ), franchisees can appeal to a wider customer base. But without actually having to physically relocate. 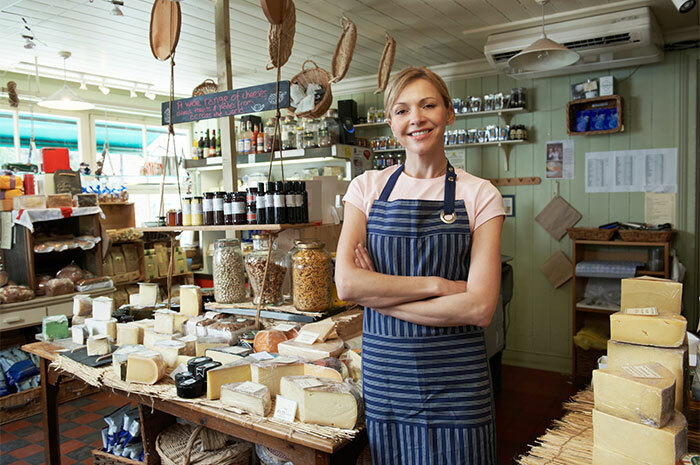 It's a setup that allows franchise owners to specialize in a particular industry, and to cut down on brick and mortar expenses. Even if they aren't made by the franchisee's own hands, designer pieces like clothes, jewelry, and accessories are making their way in the fashion market. Coming off years where retail was king, customers are finding more satisfaction from shopping local and finding pieces that are more unique. Essentially, it's a combination of DIY and a proven business model, providing the best of both worlds for all types of entrepreneurs.